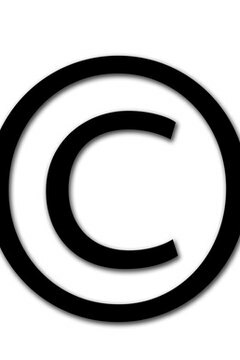 A copyright acknowledges the rights of the creator of materials such as written works, computer software and photographs. Having a copyright provides legal protection for creators of such works, allowing them to take action if their rights are violated. As a creator, you do not have to do anything to copyright your work. A copyright is automatically granted to you when you create work and it is in a tangible form. If you wish to register your copyright, which makes it a matter of public record, you may do so. Register online using the electronic Copyright Office. This option is the fastest and cheapest. You can also fill out a document known as a CO form and mail it to the Copyright Office at the Library of Congress. Use special forms, such as the VA for visual arts or the SR for sound recordings for specific categories of works, but they are not necessary. Complete some types of applications on paper and mail. These include Form MW, which is used for mask works and Form G/DN, which is used for daily newspapers and newsletters. Print forms in black ink double-sided. Include the appropriate fee with your application. Include a deposit with your application, which is a copy of the work to be registered. You may submit some deposits electronically. Some types of works, however, require that hard copies be mailed, even if an electronic application is filed. Attach a shipping slip with hard copies. Some works are also subject to special requirements. For example, a motion picture needs to be accompanied by a description of the work. Dye, Felicia. "How to Copyright Material." , https://legalbeagle.com/6144235-copyright-material.html. Accessed 25 April 2019.